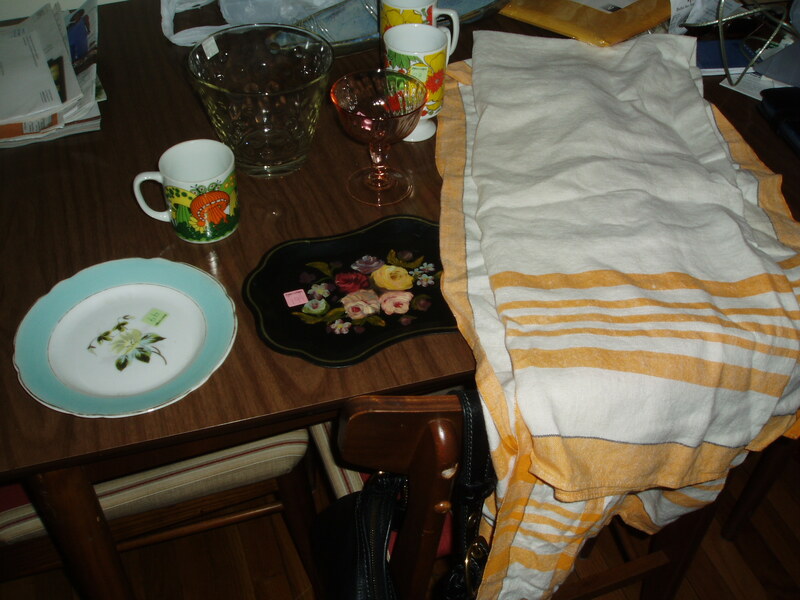 I got a fun, vintage tablecloth with jaunty orange stripes, a set of 2 groovy flower mugs, a mushroom mug from the same era, a bubble-covered glass bowl (this one may make it to my cabinet...), a pretty plate, a small toile tray, and a darling pink depression glass style dessert glass. My favorite thing about this particular Salvation Army store is that they are very good at merchandising. They set up the home goods and clothes by color, and have a little themed section up front (was Halloween this time).However, despite this set up, they're still cheap enough. After the thrift store run, we continued on to Homestead, PA to check out exhibits at the Rivers of Steel Heritage Area visitor center. I am going to do a separate post on this because I think it's very interesting and have a lot more to say than can fit in one post! We had a bit of a hard time finding it--aided by the fact that we didn't print the address. I erroneously thought there would be a sign or something. I guess that Homestead doesn't get that many tourists. Anyhow, we made several wrong turns, which brought us to the South Side and an ice cream stand where I made mom buy us a banana milkshake. Divine! I'm saying this because she was mad at me for taking the picture. Fellow customers (not pictured) gave us a better idea of where the center was. The visitor center has some rotating exhibits as well as a collection of artifacts and information about the Homestead strike, a major point in the history of the labor movement. It also has a brick with our family's name outside. My mom bought the brick for her sisters/brothers for Christmas one year. It must not have been a far-reaching development campaign, because there were only a few bricks. As I said, I will write more about steel heritage later. On to more important things: food. There is a doughnut bakery across the street. True to form, we had to stop. Mom has to take most of the credit this time. Our family--those of the brick fame--probably knows every bakery in about a hundred mile radius. Seriously, if you saw Homestead, you'd be like "I'm not stopping and EATING anything here." But, the doughnuts were indeed delicious. I finished off Saturday with dinner with Lori. 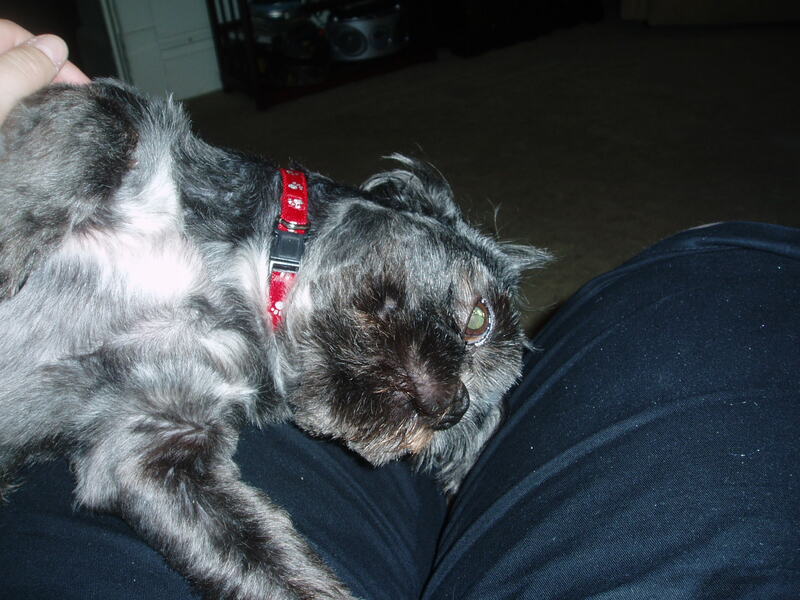 I met her dog Rex beforehand, and he took to me...as dogs will. We then went to a great local Italian joint, where I had some pretty good gnocchi. Lori was going to the fireman's club for some 95 cent beer, but I thought I should pass on that one. Hope it was fun, though!